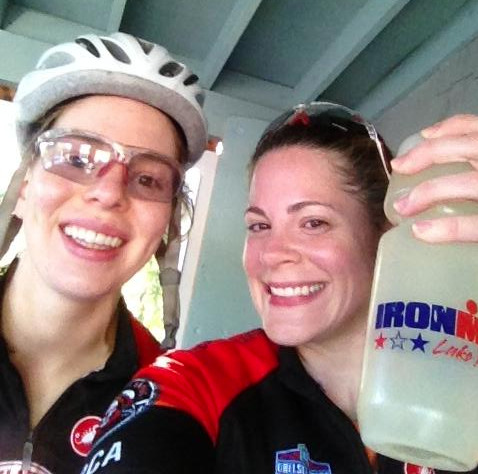 Like most of us FTEers, I spent last weekend swimming, biking, and running. However, I vacated our typical spots and headed to the Adirondacks, specifically Lake Placid. Sure, logging laps in the pool, riding on 9W, and running in Central Park gets the training done, but I loved escaping the city—and volunteering for the iconic Ironman Lake Placid. This five-day span marked my return to area for the first time in six years. Back during my high school basketball days, my team played in a tournament there. I hadn’t heard of triathlon at the time, and we didn’t get a chance to truly explore and experience the village. (I blame the chaperones!) That wasn’t the case this time around, though. Two teammates and I made the trek—Drew was racing, and Jenny was volunteering with me—and we had a blast! A few training highlights: swimming in Mirror Lake. A little different than our workouts at Chelsea Piers, right? Riding one loop of the bike course. Plus chalking it for race day! Speaking of race day, Jenny and I volunteered and helped with “gear bags out.” Here’s how it worked: After the triathletes exited the water and jogged to transition, they grabbed their bike gear bags, entered the changing tents, and made necessary clothing changes for their 112-mile ride. 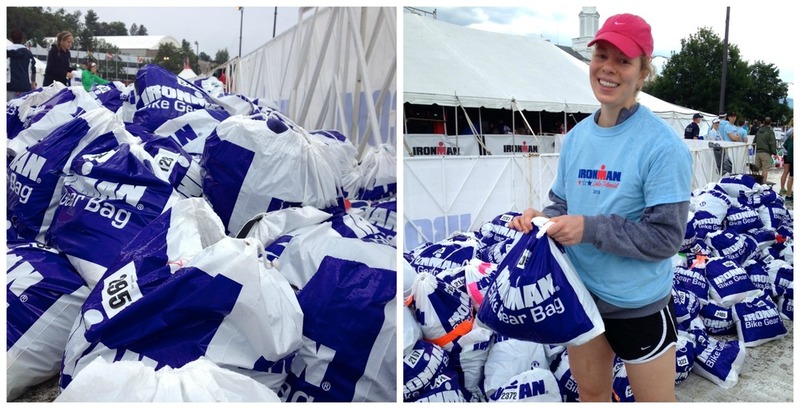 Then, volunteers working inside slid the bags (now filled with swim gear) back outside. From there, 30 or so volunteers organized the bags in numerical order and then placed them back on their respective racks. We completed our shift in a little less than an hour and a half, and then it was time to cheer! The IMLP course is very spectator friendly, so we got to see Drew several times. And as you can tell, he was always smiling and having fun. It would be an understatement to say watching Drew complete this race was inspirational. His training, discipline, and hard work definitely paid off, and he looked loose, strong, and happy throughout the day; he truly savored the experience. It is this outlook I plan to take to Age Group Nationals in Milwaukee next weekend.